Hey everyone! Today, I’m a “Sewlebrity” at Sew Can She where I’m sharing my version of the Retro Urban Apron from the book, Just for You: Selfish Sewing Projects from Your Favorite Sew Can She Bloggers, written by Caroline Critchfield of Sew Can She and Sarah Markos of Blue Susan Makes. You can read my full project review and see lots more pictures over at the Sew Can She blog. To find out about the giveaway, keep reading! The giveaway is now closed. If this is your first time visiting, welcome to The Crafty Quilter! Thanks for clicking over here – I hope you’ll spend some time looking around. I have lots of tips and tutorials that I’ve shared over the years and there’s always something new brewing sewing. If you want to receive blog updates from me in your inbox, then become an email subscriber using the box in the upper right sidebar. You can also check me out on Pinterest and Instagram. The giveaway: You can win your own copy of the book, Just For You, Selfish Sewing Projects, by leaving a comment here. Tell me what your favorite craft is – sewing, knitting, quilting, scrapbooking or something else? I’ll pick a winner on November 1st, 2015. This giveaway is now closed. Thanks to everyone who participated. I actually have two. Quilting and cross stitch. Although I haven’t done much cross stitch lately. I guess I shouldn’t say that, I did three wedding samplers this summer. They are all done, framed and delivered. Spending time now working on Christmas gifts. I am about three quarters done. It’s no fun unless you are making something right up to Christmas eve. It looks like such a nice book. My favorite is quilting and from there applique. Oh, to pick just one… I love everything crafty. But I would have to say that my favorite is sewing and quilting. I also love creating things out of re-purposed items. I do really like re-doing furniture too, but it is getting too cold here to do that!!! Sewing and Quilting is my first choice, for sure!! Your apron is really pretty, and shows the pattern so well! Sewing is my passion. I love making aprons – I do a table at my church bazaar every year and I especially like making children’s aprons. My granddaughter is expecting a baby in May and I’m looking forward to making lots and lots of bibs, burp pads, receiving blankets, baby quilts, etc. (after my bazaar). Love your apron pattern!!! Quilting is my passion but I love making and giving handmade gifts. I love to quilt! Since I also work a secular job I start projects that are easy to finish such as table and bed runners and baby quilts. It is definitely a stress reliever! I love quilting and making, mug rugs, table runners and place mats. I just found your site and you are so talented! I have my eye on some of your Christmas projects. They are beautiful! Thank you for the chance to win the book Just for you Selfish Projects. At the moment my passion is quilting, with a little crochet on the side. I’m not good at either but enjoy it immensely. I’m a quilter and never know when to stop. I enjoy reading your blog and think the tips you give are well thought out. I’m a quilter, but I also love hand embroidery while I watch TV or don’t feel like sewing. Thanks for a great giveaway! I like creating anything with my own hands. I sew, crochet, garden and work full time (which I wish I didn’t do…). I enjoy pretty much any and all types of crafty endeavors! I love fabric! so anything to do with it, crochet it, sew it, quilt it and make baskets. thank you…. I love all kinds of crafts but my favorite since I was a little girl has been sewing. Quilting is my favorite hobby. I also like to sew home-dec items and I’m getting in to alittle reupholstering old chairs and trying to give them a second life! Hey, me too.. I tried to redo my dining room chairs with marginal success. Do you have any books, websites, etc. to recommend? Anyone have any advice???? Quilting! I’m getting back into regular sewing now that my daughter is a little older, though, and I’m enjoying that, too! Quilting! I’m a retired school librarian and have been quilting a little over a year. I’m addicted! So many. At the moment it’s crochet. Quilting is my favorite craft. Love the whole construction process, but most of all love seeing the looks on my grandkids faces when I give them a new quilt! I’m new to quilting and rapidly becoming addicted to it! My darling hubby says it’s cheaper than liquor and safer than drugs!!!! Love your fresh take on colors. What a darling apron and display! Great eye candy! I love them all, but probably spend more time at my sewing machine! BTW thanks for your newsletter! For my 65th birthday this year, I bought a sewing machine and made my first quilt. It has many mistakes and is a bit wonky but looks great from a distance:) I love it and I love quilting! It’s great for the brain and makes me happy. Out of all my other hobbies, quilting is my favorite. Hi Julie! Quilting is my favorite hobby! It’s so creative and the projects are always useful! Hi Julie, I have been following your blog for quite a while. You seem to tickle my brain with your patterns and make me want to learn more. I have been a life long sewer/crafter beginning on the old Singer treadle machine. My favorite craft is sewing clothes, bags, quilts, anything really. I’ve tried knitting a few years ago, and would like to start again. Thanks for this give away! I like sewing/quilting the best. I was a knitter for 20 years but it took so long to get a finished product. I like the quicker gratification that sewing can provide. I love all crafts, knitting and needlework most transportable. Quilting… I love picking out the pattern figuring out he piecing and then picking out the fabric… then my next favorite part is doing the binding and calling it done! I began quilting about 12 years ago.It has become an obsession and I couldn’t be happier.Love your site. I like sewing, particularly sewing bags. I have enjoyed sewing and hand embroidery since my mother began teaching me when I was five years old. Over the years I’ve done dressmaking, cross stitch, ribbon embroidery and crochet and I make lots of bags. I’ve just started quilting, and finished my first quilt.I really enjoyed using my existing skills to embellish my quilt with hand embroidery and applique. I have two more quilts in progress and I think I’ve found my new passion. Quilting has replaced all other crafts for me. Sewing scraps, no doubt! Sewing aprons, this apron, a dream that can be true! My favorite hobby is quilting, and within that category I have mostly made table runners. I also really enjoy doing special projects for my family members, like a team fleece fabric pillow for one son, and a wall hanging made from his father’s old neckties for my other son, plus an Eagle Scout quilted wall hanging memento for each of my grandsons. My favorite craft depends on the weather. I love to knit and crochet when it is cold and snowy, and sew… that doesn’t so much depend on the weather, I do it whenever I can come up with a project, and I can usually always dream up a project! sewing is my favorite craft because it’s just me and the hum of the machine, surrounded by beautiful fabric and the limits of my own creativity. Sewing is my most favorite craft….that includes quilting, clothing and bags. I gave up other crafts like cross stitch and crocheting because I found I was starting too many things and not getting enough of them finished. My favorite hobby is quilting, appliqué and machine embroidery. I also enjoy cross stitch, Scrapbooking and card making. My favourite craft now is art journaling and watercolour painting but I’m staying in the loop with quilting since I’d like to make another quilt someday. I started sewing on my Holly Hobby sewing machine that only sewed chain stitch! I did sewing and cooking right through to Year 12 and I graduated to mums machine and was lucky to be surrounded by my mum and two aunties who were all crafty! I now love to sew, quilt, crochet, cook and scrapbook. Since starting my own business in Desktop Publishing and studying my Dip in Business Management, I’ve had little time to do any of it! This book might just be the inspiration I need as I’m realising now how important it is to feed your creative side. I started out sewing, found quilting, so I am a wannabe Quilter! I have been “collecting” books and fabric for my retirement,(years) I retired in July, and the fun has begun. Finishing up my 1st QOV… ripped out a lot of seams, one row is upside down, but you know, it may be imperfect but it is made with love and gratitude. I have enjoyed your blog, The Quilt Show quilt, and do visit the blogs you list. Julie, I love quilting and gardening and when possible traveling! I love to make string blocks, and I love embroidery, hand embroidery, redwork and crayon embroidery. I would love to win the book. Thank you. Hard fight between quilting and sewing. Probably have to come down on the side of sewing — love to make bags! I love to make quilts, machine embroidery, and sewing things for my new grandson (due in December)! I could spend all day in my sewing room behind my sewing machine making beautiful things. I love to sew and am getting better with quilting. I don’t sew much for myself, tho. The joy is in the process and seeing others be happy in receiving. Oh wow…a kindred spirit! Since retiring, I do spend all my time behind the sewing machine and in my girl cave. Love it, love it. My favorite is quilting, especially hand applique, but I also love cross stitch on linen with primitive designs. Not enough time in my life. I do enjoy your blog and the hints that you share and how you can inspire. I have always loved to sew. Now quilting is my passion! I love quilting, but sewing is a close second! Thanks for the opportunity to win! I would love to win this book. Sew many things I want to make. I love lots of traditional arts. So many traditional arts are being lost. Among the many I love and attempt is quilting in all its forms. I enjoy making quilts and also sew other items to give as gifts. My favorite craft is knitting. My favorite craft is quilting, but I also enjoy embroidery. My hobby is quilting, but I do sewing for my home as well as pouches and totes. I’d love to see what’s in the book. Sounds like I could find a few projects in it. I’ve done (and enjoyed) them all; but right now my favorite is sewing! My granddaughter (at 12) now does everything she wants to – sewing, quilting, paper crafts, fun crafts, painting, drawing, etc! so I get to do my thing while she does hers! Just can’t get enough of patchwork and quilting. There is nothing nicer than the excitement of starting a new project, the planning, the cutting, and stitching, and watching the pile of blocks increase. Then there are my UFOs, which I am trying so hard to work on. Guess the secret is to choose one and stick with it! I like to do a little knitting too, and have been using up my odd balls to make a few baby and toddler items which I have tucked away until my grand-daughters provide the next generation! I have been doing all kinds of crafts over the years, now I am hooked on quilting. There is just so much variety just by changing colors, fabrics or the layout. Currently I am working on a version of your spring petals table topper. Love it! Sewing is my favorite, I’m learning quilting. Have a great day! Quilting is definitely my favorite! Sewing, with fond memories of sitting beside my grandmother. I have done pretty much every textile/fiber based craft over the years. I have been quilting since 1970 and it is still my most favorite, with knitting filling around the edges for handwork, along with a few garments for baby granddaughters. The book looks like it is full of great ideas, would love to win it! Sewing, quilting and recently bookbinding! Quilting is a new hobby for me and I’m loving it! Also like to sketch and garden-good excuses to be outdoors! I’m new to sewing and love it. I saved the tutorial for the Christmas Wall Hanging, it looks lovely. I like the retro apron shown in the picture. I’ve sewn about five aprons. Me and hubby wear them all the time and it’s a fun project for a quick reward! Quilting is my favourite, but I also enjoy card making, sewing and cross stitching. I started following your site with “Cozy Afternoon” and I totally enjoy it. You are so creative and I have learned a great deal from you in this short time. I also like the personal touch you add to your blog. I am a new quilter. I look forward to getting your emails. This book looks interesting. I love anything that can keep my hands busy. Picking the first place would I guess be quilting. I enjoy making charity quilts. I also crochet which I make a lot of scarves as they have a drive for coats every winter. I am also teaching myself to knit. Yep, I love it all. I enjoy sewing and quilting. After I retired couple years ago I started piecing and quilting small projects and although I have blocks done, I haven’t put them together for a quilt, still learning. I enjoy embroidery projects also. So much fun going on over here- so happy I found your site! This is such a cute apron- love those fabrics. I love sewing and am a beginner quilter- fabric is my weakness. I do enjoy quilting — mostly machine applique. Quilting is #1 with me. I also sew garments and crochet. quilting is by far my favorite artistic craft media. Unfortunately I Love more than 1 craft ! I Love to Quilt, knit, and crochet; and any combo ! Quilting is my favorite for most of the time. I love sewing projects of all kinds, but mostly quilting and bag-making. My favourite is quilting but I enjoy lots of other projects to. I love the idea of selfish sewing. Thanks for the chance to win! My first passion is my grandchildren!! I love to quilt and knit too! HI,love machine piecing+quiting best! I do some hand quilting.embroidery,redwork and cross stitch also. I love your blog. Right now I am making my 4 grandchildren quilts for Christmas, dragged out some old crocheted doilies I made years age and going to frame them, knitting an American Doll sweater and the list goes on! I am a senior craft-a-holic and enjoy it. Quilting is my favourite for now!! I love to quilt in all forms – traditional, modern, some art quilts. Love to sew little gifts for friends and relatives. Thanks for the opportunity to win. I can’t choose a favorite between sewing and knitting although I do sew more now than I used to do. I learned recently that being selfish is actually to love yourself so I try to indulge myself by making more things for my pleasure instead of everything for others. My favorite craft is quilting, followed by crocheting. But I really love to try any type of craft! Having discovered quilting this is my favorite, but sewing for my granddaughter is a joy. I love to quilt and sew. Sometimes I do some knitting to change up the pace a bit. I love to quilt and sew. I do some knitting when I need to change the pace a bit. julie, love all your tutorials and projects! Quilting is my fave! I will confess I’m a Cross Crafter, as I love so many areas of crafting. But Quilting and general sewing projects are where I spend most of my creative time. Cute apron, Julie! There is no end to your talent. Your blog has always been a great reference for me. I do a little knitting for charity but most of my crafting time is spent quilting. Oh, I couldn’t pick just one!! I love them all…quilting, knitting, sewing, crocheting, x-stitch, card making. I know, I know… Each one brings me joy while I’m in the midst of the project… I love the variety and always have something new to pick from baskets. I LOVE LOVE LOVE QUILTING…..AND OF COURSE BEING CREATIVE WITH IT. I HOPE TO WIN THIS LOVELY BOOK. I guess if I had to choose, it would be sewing, though I also love quilting! My favorite craft is quilting but I am always adding a small sewing project in between the bigger quilts. I love so many crafts but quilting and sewing are my favorites! Thanks so much for the chance to win this great book. I’ve tried several different crafts including stained glass, knitting, counted cross stitch, etc but found my passion a little more than a year ago when I started quilting! I love all types of crafts, however, sewing is my favorite (zip bags, totes, table toppers, wall hangings, etc.) with quilting close behind. Thanks for the sweet giveaway! I love quilting and machine embroidery. I love your blog, you have sew many tips and ideas. Thank you! Even though I enjoy all types of sewing, my first love is quilting. Thanks for the great giveaway! Quilting is my current obsession. I also enjoy weaving and crochet. Thank you for the giveaway. All my best to you and your family. I love sewing be it piecing, creating home dec items, gifts, and charity items. I’m always looking for new projects and inspiration. This book will be well-read and used frequently should I be lucky enough to win a copy. Quilting is my favorite but I have dabbled in many other crafts also. I enjoyed most of them but keep coming back to my quilting passion. I’ve dabbled in some crafts, but have discovered that I’m a quilter to the bone. I love to piece quilts, no actual quilting, tried it, didn’t like it. I used to do other sewing, but no longer interested in that, just piecing quilts. My favorite craft is quilting. However I do all kinds of interesting things. Quilting is my favorite craft. My first love is knitting but quilting is being a fast favorite. Thanks for the quilting tips and tricks! Very helpful in getting past the quilting learning curve. I love to sew! Quilting mostly, but right now I’m gearing up for Christmas giving by making a bunch of fabric “goody baskets” to take treats to people in. Lots of fun!!! Julie , my favorite craft is quilting.I love picking out beautiful fabrics, cutting them and makeing something beautiful and something to treasure out of them. I am allways at awe when i look at my grandmothers quilts. Hoping my family will treasure my work as i treasure my grandmothers. I really your email updates and blog. I love working with my hands including sewing, quilting, and knitting. And it gives me great pleasure to give gifts to others of things I have made. Really hard to pick just one craft. This month, and probably the next few months, I’m obsessed with sewing. I’m using my stash to make quilts for foster kids and a raffle quilt for our town’s new playground equipment. Sewing is my favorite. I’ve been looking for an apron pattern that appeals to me. The one you made is perfect. I hope I win the book so I can make one for myself! My favorite craft is sewing. I love to make things. I sew/quilt but I also have crocheted a lot of afghans in the past. A little knitting long ago and I recently tried picking it up again. I like a bit of variety in my life. Thanks for an opportunity to win. sewing is my favorite. making gifts to give others in particular. during the day while going to meetings or seminars my “go to craft” is crochet because it is to portable. Picking a favorite would be difficult, but I have to give the nod to quilting, but sewing and crocheting are also high on the list. It really depends on the day. I love to sew and quilt, but I also do glass pet portrait mosaics, work with polymer clay, and I carve and print Lino blocks. Right now I’ve been sewing and learning to free motion quilt. I am newly retired and trying to improve my quilting skills! So many quilting projects small and large I would like to do! So yes quilting would be my favorite! Quilting is my new favorite hobby thanks to you, Julie! I loved your intro to quilting class and you have got me addicted! Thanks for sharing your amazing knowledge and expertise. You’re amazing! Have followed you for quite a while, Julie. Love your name (it’s my mom’s and my daughter’s name) and your style. My favs are sewing and quilting….my license plate even announces it! Keep on inspiring us. I love them all! I guess I love to quilt the most. The satisfaction of the finished project from start to finish. I love assembling the quilt as much as quilting. I do love to embroider on some of my things like towels, aprons, children’s shirts,quilts, pillowcases and sheets. I love to knit hats and scarfs for all my grand-babies, almost 9 now! All of this keeps my crafting busy which makes me a happy camper! I love to do embroidery, but my next projects would be quilting. Hi Julie my favorite craft has to be quilting. I do enjoy any type of crafting. I used to do much more when my mom was still with us and I do miss those days. I enjoy you site very much, keep up the good work. I am newly retired and am a self taught quilter! I love creating, just looking at a piece of fabric and thinking about the possibilities is so exciting! I also love making all things baby! I have sewn as long as I can remember, but have been quilting for the past 25 years & love it. I also like to do many other kind of craft projects. Probably my new favorite is combining two: embroidering quilt tops! My favorite craft is quilting. Just love to put pieces together and see the end result. This book has been on my wish list. Thank you! Quilting is my passion. And so is shopping for fabric! I am now enjoying teaching my sister to sew and quilt. Thank you for the chance to win. First let me say I love this web site. No matter what day I click on I am bound to find something I like or need. I consider myself a beginner quilter although I have made quilts as gifts. 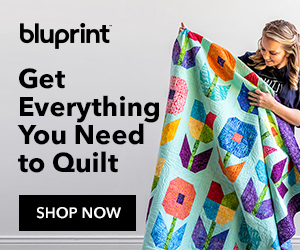 I have always loved quilts but no one in the family ever quilted. I wanted to learn so I could make a log cabin quilt for myself. LOL. That was quite a long time ago. I plan to start it within the next two months ( I hope ).Thank you Crafty Quilter. I have always loved to sew, I think I was about 10 years old when I started making doll clothes. I do love embroidery and cross stitch but creating something from fabric is at the top of my list of fun things to do. Hi Julie…..been making baby quilts for quiet some time….i love this craft and have been following your ideas …thanks a lot for them….looking forward to sew more quilts….. I am a quilter. I started quilting a year ago after retiring as a school librarian. My fabric stash has grown and I find myself looking at quilting tutorials often. What a fun way to spend my retirement days! Oh, this is hard for me. I’m a quilter, love to sew all sorts of things and am an avid knitter. I also play around with weaving. My husband claims I have OCCD. (Obsessive Compulsive Craft Disorder) ….in jest of course, and In fact I rather agree! I love all forms of quilting. Quilting is my favorite, but I have been sewing since I was 8 when my grandma taught me to blind stitch and hem. Sewing is definitely my favorite. But too often I have to spend time MAKING THINGS that are necessary rather than being creative. Wish I had more time for that. I love sewing and whether that means sewing up bags and home decor or quilting, I’m happy to be at my machine. Thanks for the chance. I love all sewing, machine and hand! Thanks for sharing your talents and skills. I love to make quilts. Hard choices, but sewing, specifically piecing quilt tops is my favorite craft or art! I do love to smock and do machine heirloom sewing. And I do like to knit! My favorite thing to do is quilt. I like to make small gifts that involve quilting, too. Thanks for all your projects and tips…….and for the giveaway. I love to make quick gifts for family & myself, I am always busy so those quick gifts to make are a great way for me to get things done. Quick & easy, that way when I want to make a quilt, I will have the time to do it. Hi Julie…..my favorite craft is quilting….I am also just getting back to garment construction-it helps to have 3 grand daughters to sew for now! Quilting with my sister who taught me everything I know. I started my quilting journey 15 months ago and I am hooked! Love quilting! Julie, I love to quilt and to sew for the home. I sewed infrequently as my children grew up (too many sports in our home! ), but I have now returned to sewing and I am also teaching myself how to quilt. Your website is a constant source of information, as well as inspiration, to me. I have learned so much from your tutorials and appreciate how well you describe a skill, as well as your photos. Thank you so much! I am currently making a version of your Pinwheel Star placemats, using the In From the Cold hot chocolate fabric. Oh my gosh…I love to do sooooo many things…but my favorite thing is sewing. I make pillow covers for all the different holidays for my living room….its so much fun! My favorite craft is probably quilting. I just feel so good when I’m quilting something. I imagine the recipient snuggled under it. Love, love to quilt. Also sew for my granddaughter. Tanks for the opportunity to win! I would say quilting is my favorite craft but sometimes I think shopping for quilting is my favorite craft! Love to quilt, but dabble in a little bit of everything! I Knit, crochet, cross stitch,quilting and some sewing. Quilting is currently my favorite. I have different craft projects all around my house. I go upstairs to quilt, I have a crochet project on the couch for when I’m watching TV and a small counted cross stitch project in a bag to take for car rides and waiting at appointments. Any sewing by machine or hand, love to touch fabric. Quilt piecing has become my favourite although I get great pleasure sewing gifts for family. Good morning. I recently retired and am teaching myself to sew. I now have a reason to live forever. I just love it! I used to knit at work and am a published writer of romance\suspense, but sewing is by far my favorite craft. I’m making lots of mistakes and laughing my way through it. Sewing is therapeutic. I’m so thankful for all the experts who are willing to share their expertise with novices like me. Thank you! Julie, Love your website and found many interesting things on it. I love quilting, which I have started in the last year, and sewing, which I have been doing for many years. I make a great deal of “little” things for my granddaughter who really wants me to make her doll clothes. Good Morning Julie, My favorite would be quilting although I dabble in lots of other crafts. Have a great day! Love your blog. Look forward to receiving it. I am a long time quilter, but have picked up many hints and patterns from your blog. Thank u.
Quilting is first then cross stitching. Quilting is my favourite way to fill my time but have always sewn. And have always done handwork such as crocheting, cross-stitch, embroidery, smocking, etc and folk art painting. Now I focus on quilting. I like a smattering of crafts to keep it lively. And better still, combine some things. Knitting and quilting crochet and knitting and quilting and embroiderer! My favorite craft is sewing! I am an avid quilter, but have many other crafty interests! I love quilting and sewing. I too am a new Grandmother and I love creating stuff for our Granddaughter. I enjoy sewing of all types, but making quilts is my favourite. Quilting is my first choice, but sewing has always been in my life. Thread Crochet is another one of my favorites. Love to sew and quilt. Enjoy your emails. to know I’ve learned new skills from every effort! I would love to win a Quilty Box! I just began quilting about 3 months ago and need some notions and more fabric. I always enjoy reading your blog and find it so inspirational! Of all the crafts I’ve tried over the years – cross stitch, scrapbooking, sign making, painting, all kinds of sewing – quilting is my favorite. I’m drawn to so many lovely fabrics… Thank you for the chance to win and I’m always drawn to apron patterns too! My favorite craft is quilting & small sewing project. Thanks for the give away! I enjoy your blog! Julie, Quilting is my favourite and love hearing from you! I named my daughter after you, how is that for a compliment and she loves her name and the quilt I made for her from your website so I am very much your follower! I have done cross stitch, crochet, knitting, clothing construction, and quilting and applique. Now, I mostly applique both by machine and hand. Sewing is my favorite craft, mostly quilting, but anything that lets me play with beautiful fabrics and threads. HI! I love to sew but it’s a toss up if my favorite is sewing or photography. Love your ideas and email! Great work! Julie quilting is my favorite . I do dabble in beaded jewelry and organic gardening. My favorite craft is sewing. Anything that lets me pet my fabric, or shop for more, rocks my world. I’ll make quilts, clothes, bags, notebook covers, book covers, mug rugs, you name it! No hemming pants for neighbors though. Work sewing doesn’t count. Quilting is my first choice but I love to “sew”. Finally going back to making clothing again. Love the challenge of both. Quilting is definitely my favorite craft, but I do enjoy doing general crafts with my granddaughters too.